I love the fact that the French 75 is a simple cocktail, yet the name, just makes it sound so obscure… French 75. I had to do some research to learn where the name “French 75” actually came from…. I was thinking it was invented in France… In 1975. 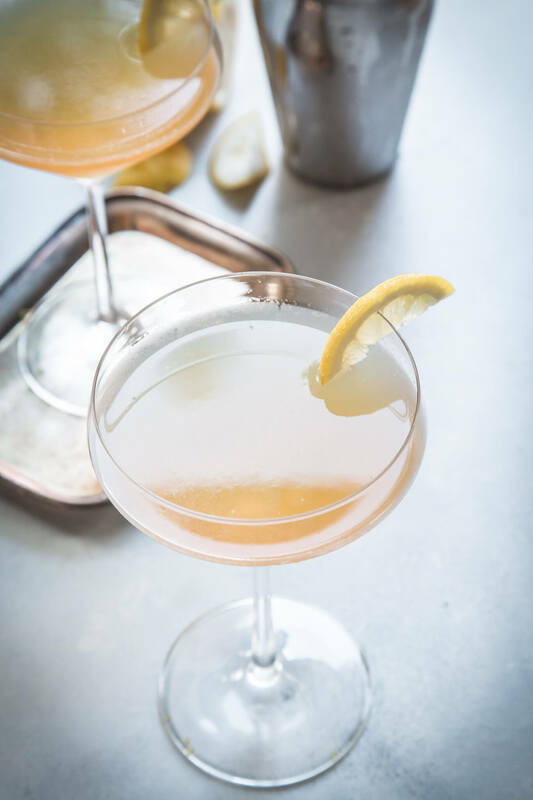 The French 75 cocktail is said to be created in 1915 at the New York Bar in Paris—and rumored to have such a kick that it felt like being shelled with the powerful French 75mm field gun also commonly known as the French 75. 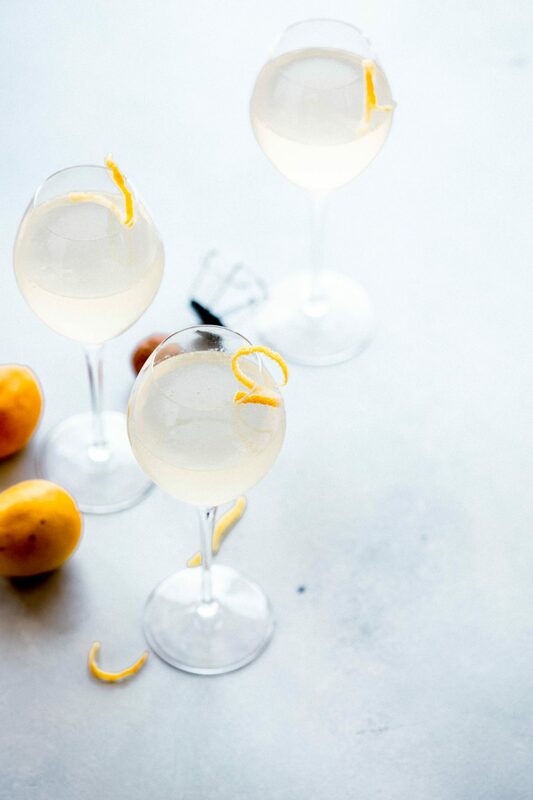 Gin combines with fresh lemon juice, the sweetness of simple syrup, and sparkling wine for a truly delicious, refreshing cocktail. 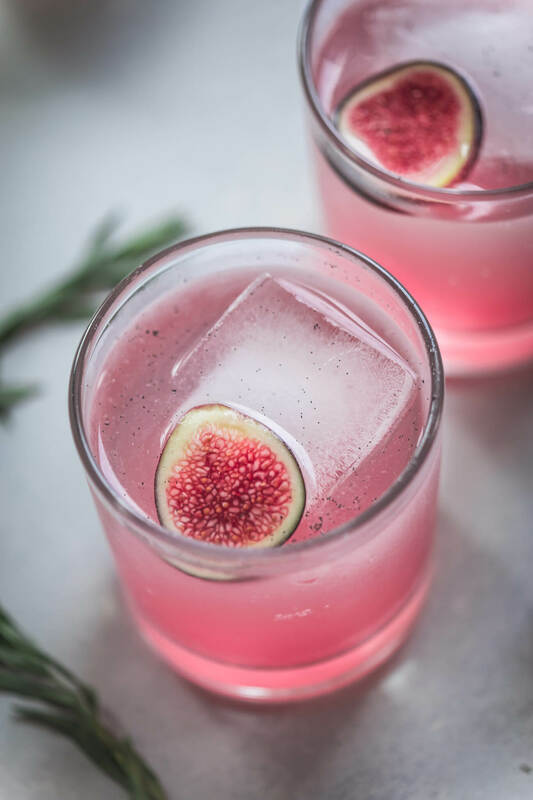 Because the ingredients are simple, you can have this fancy cocktail made for you at just about any bar… But, why not make it at home? I promise that you don’t need to be a master mixologist to create this elegant drink. I don’t know about you, but sometimes when I see “simple syrup” listed in the ingredients, I’ll bypass the recipe all together – Because making the syrup seems like such a hassle. But really, it’s not! What is Simple Syrup Made Of? All you need to do is heat 1/2 cup water and 1/2 cup sugar in a saucepan over medium heat and stir until the sugar is dissolved. Then let the mixture cool. That’s it! It took me all of three minutes. Plus, you’ll have plenty of the simple syrup leftover, and it will keep for 3-4 weeks in the refrigerator, meaning you can have a fancy cocktail every day of the week if you so choose… I mean you need something to drink with Real Housewives, right? 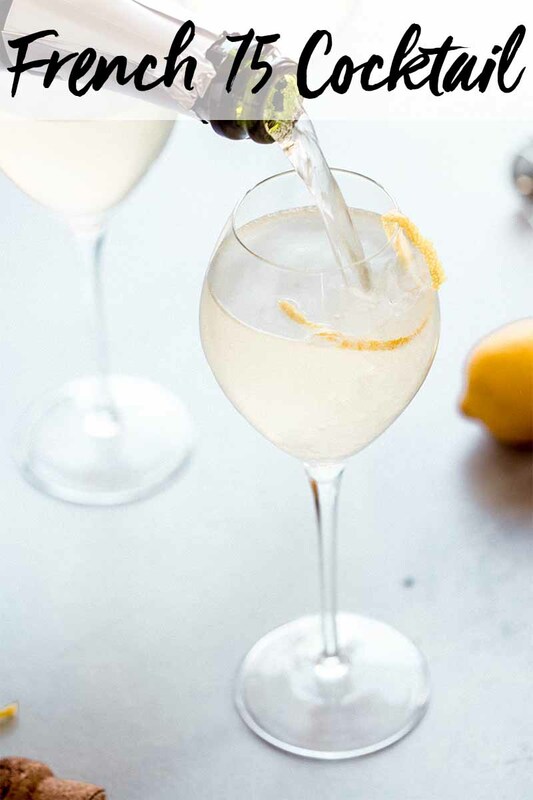 It is helpful to have a cocktail shaker on hand, so that you can shake up the gin, simple syrup and lemon juice with ice before pouring into your champagne flute. However, if you don’t, that’s OK too! 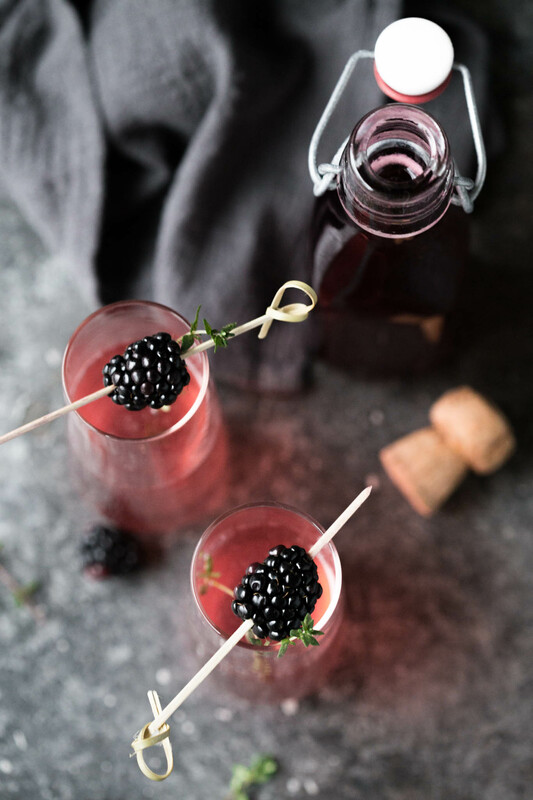 Just use a spoon to stir up those ingredients and then strain them into your glass using a fine mesh strainer… After that, it’s just one more step – Top the whole thing off with bubbles. About the bubbles… You can use prosecco, cava, champagne, whatever your favorite sparkling wine might be. So, there you have it – A festive, elegant, simple to prepare cocktail. It’s a winner in my book and perfect for holiday parties, elegant brunches and even just Friday nights on the couch. 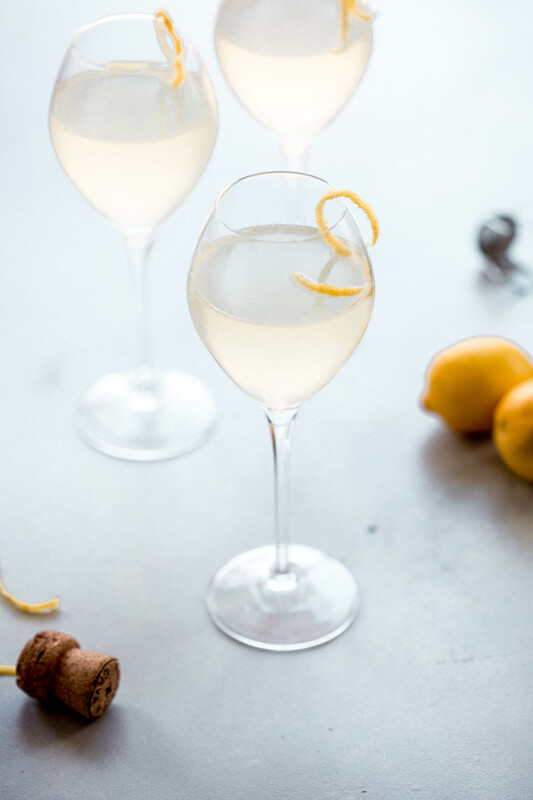 This French 75 cocktail recipe is festive, easy to make, and elegant. Plus - Bubbles!!! 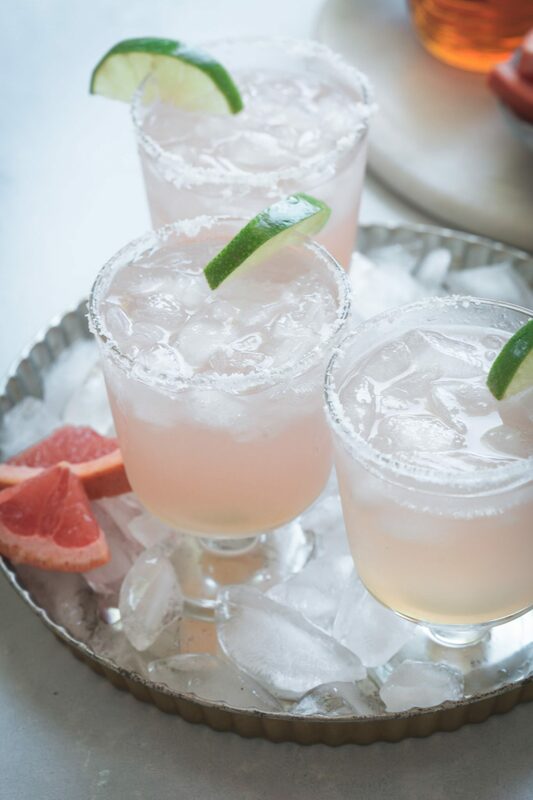 A sparkling cocktail always helps to make your party sparkle! Combine gin, simple syrup and lemon juice in a cocktail strainer filled with ice. Shake well to chill ingredients and strain into a champagne flute. 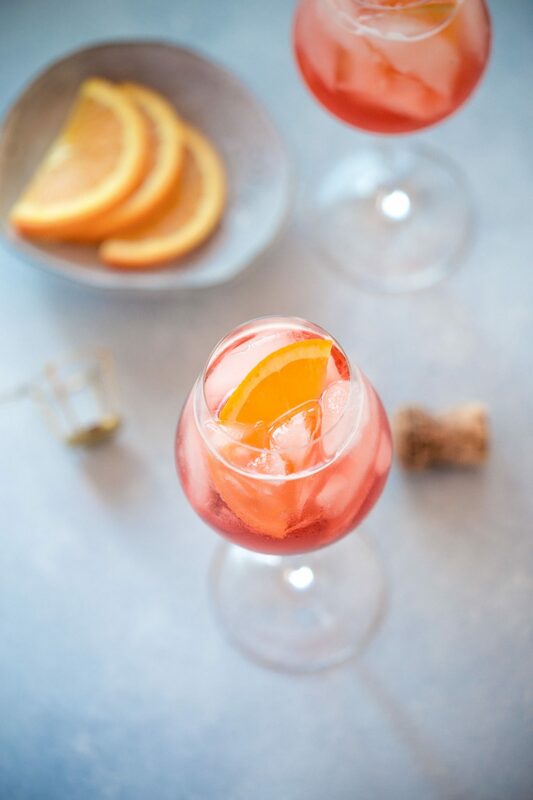 Top with sparkling wine and garnish with a twist of lemon. Serve immediately. This recipe was originally published in December 2015. It was updated in April 2019 to update the photographs. The recipe French 75 remains the same. Enjoy! If you loved this French 75 Cocktail I would appreciate it so much if you would give this recipe a star review! Also, be sure to snap a picture of your finished dish and share it with me onInstagram using the hashtag #platingsandpairings and tagging me @platingsandpairings. I love French 75s! But they are sooo dangerous because of the gin. Pinning this recipe for Christmas/New Year’s! This is one of my favorite cocktails, which sadly I’ve never actually made for myself! Now I can!! Go for it Kathryn! SO easy to do at home! Beautiful post. I also love this classic cocktail! I’ll need to have one soon! I can’t tell you how many recipes I’ve by passed due to simple syrup… I”ve just never made it. But with this recipe you have me convinced!! It’s really not difficult, and it only takes a few minutes… I think I’m finally overcoming my aversion to recipes that call for simple syrup. Especially now that I have a bottle stashed away in the fridge! 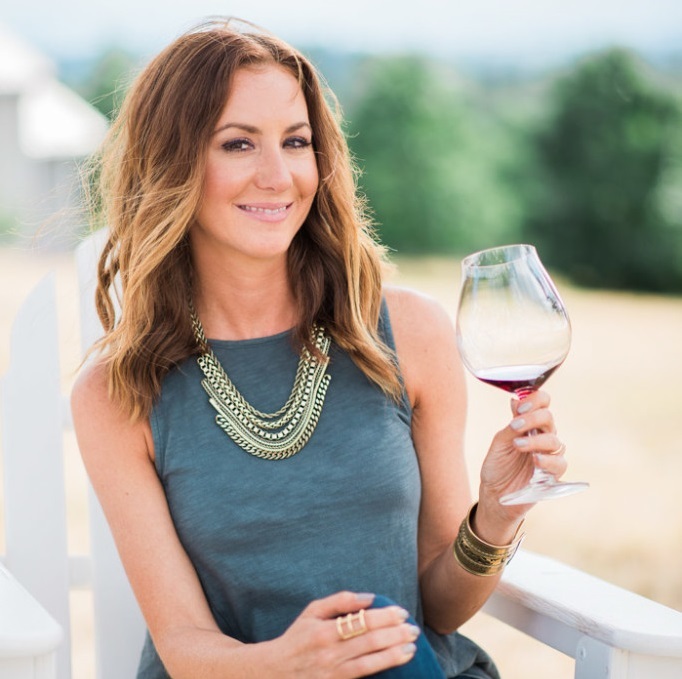 Hummingbirds need cocktails too – Right Jen?! They do go down pretty easily Pech, and that gin can surely sneak up on you! Yum. I love a good French 75! And I just picked up a bottle of the local Aria gin (it’s sooo good!). I’m pretty sure I’ll be making one of these later this week. Sounds great Mary – I’m going to need to give Aria a try soon. I’ve heard good things! Yum! I’m not a fan of eggnog, and this sounds like a perfect alternative for Christmas brunch! Perfect for Christmas brunch Catherine! It’d make for a VERY Merry Christmas! 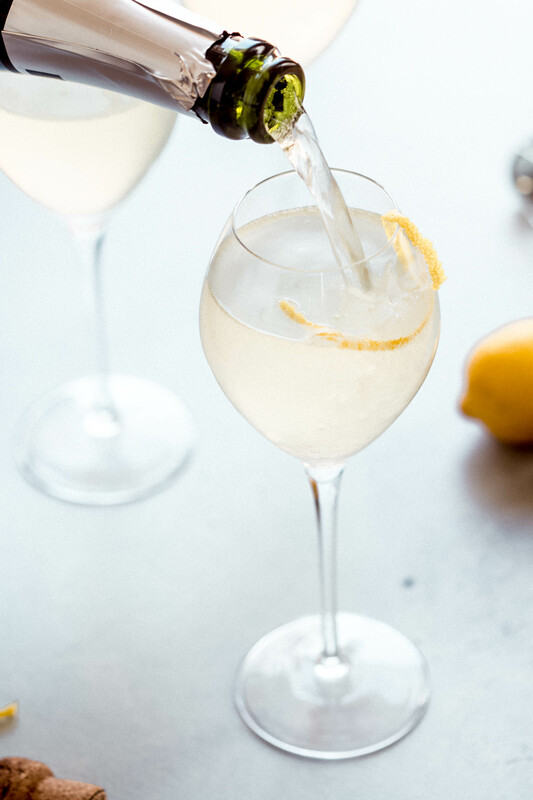 I love a good champagne cocktail, and the French 75 is classic. It can also be made with Cognac, which gives it richer flavor. I recommend trying both! Here’s my recipe: http://www.garnishblog.com/2015/10/french-75.html. Cheers! I’ve heard that cognac is an awesome addition as well Katie! I made mine with gin, because I always have it on hand. Next time I’ve got some cognac, I’m definitely going to give your recipe a try!!! We just decided to throw a NYE party. These might have to be added to the menu! I think these are perfect for New Years Eve Erin! Sounds like it will be an awesome party!!! Love a good French75! I never knew the history of the name, so thank you for sharing! Beautiful photos! Thanks Marlynn! I was totally thrown for a loop when I heard where the name came from. Not what I was thinking at all! Thank goodness I don’t need to be a fancy mixologist, because I def am not! But you’re right: I could make this French 75 cocktail, and now I can’t wait! I love that it doesn’t require any obscure ingredients, too. I’m definitely trying this!